What threatening words did Yehuda say to Yosef? Why did Yehuda say his missing brother died? Why was Yehuda the one to plead for Binyamin? What do we learn from Yosef telling his brothers, "Go up to my father"? What two things did the brothers see that helped prove that he was really Yosef? Why did Binyamin weep on Yosef's neck? Why did Yosef send old wine to Yaakov? What did Yosef mean when he said, "Don't dispute on the way"? What happened to Yaakov when he realized Yosef was alive? Why did G-d tell Yaakov, "Don't fear going down to Egypt"? "I will bring you up" from Egypt. To what did this allude? 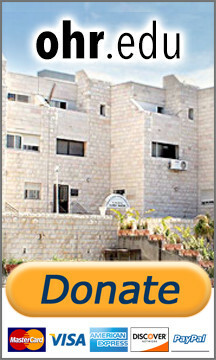 What happened to the property that Yaakov acquired in Padan Aram? Who was the mother of Shaul ben HaCanaanit? When listing Yaakov's children, the verse refers to Rachel as "Rachel, wife of Yaakov." Leah, Bilhah and Zilpah are not referred to as Yaakov's wives. Why? Yosef harnessed his own chariot instead of letting a servant do it. Why? Why were shepherds abhorrent to the Egyptians? Why did Yosef pick the weakest brothers to stand before Pharaoh? What blessing did Yaakov give Pharaoh when he left his presence? Yosef resettled the land of Egypt, moving the people from city to city. What were his two motives for this? Whose fields were not bought by Yosef? All references are to the verses and Rashi’s commentary, unless otherwise stated. 44:18 - He threatened that Yosef would be stricken with leprosy, like Pharaoh when he took Sarah from Avraham. Alternatively, Yehuda threatened to kill Yosef and Pharaoh. 44:20 - Yehuda feared that if he said his missing brother was alive, Yosef would demand to see him. 44:32 - He was the one who took "soul" responsibility for him. What do we learn from Yosef telling his brothers "Go up to my father"? 45:9 - We learn that Eretz Yisrael is higher than all other lands. 45:12 - He was circumcised like they were, and he spoke lashon hakodesh. 45:14 - Binyamin wept for the destruction of Mishkan Shilo built in Yosef's territory. 45:23 - Elderly people appreciate old wine. What did Yosef mean when he said "Don't dispute on the way"? 45:24 - He warned that if they engage in halachic disputes, they might not be alert to possible travel dangers. 45:27 - His ruach hakodesh (prophetic spirit) returned. 46:3 - Because Yaakov was grieved to leave Eretz Canaan. 46:4 - That Yaakov would be buried in Eretz Canaan. 46:6 - He traded it for Esav's portion in the Cave of Machpelah. 46:10 - Dina bat Yaakov. 46:19 - Rachel was regarded as the mainstay of the family. 46:29 - Yosef wanted to hasten to honor his father. 46:34 - Because the Egyptians worshipped sheep. 47:2 - So Pharaoh wouldn't see their strength and draft them. 47:10 - That the waters of the Nile should rise to greet Pharaoh. 47:21 - In order to remind them that they no longer owned the land, and to help his family by removing the stigma of being strangers. 47:22 - The Egyptian priests.